Contact Us – B&B Diversified Enterprises, Inc.
B&B maintains five offices in the states of Pennsylvania and Florida. B&B’s primary area of geographic coverage includes the northeastern states of Pennsylvania, New Jersey, Delaware, New York and Maryland. 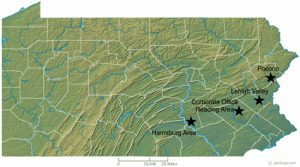 This territory is typically managed by its four main office locations in Pennsylvania. However, the company has also performed projects further afield outside its primary geographic coverage area. For example, many environmental projects have been conducted in the southern United States, the Midwest, and Canada. 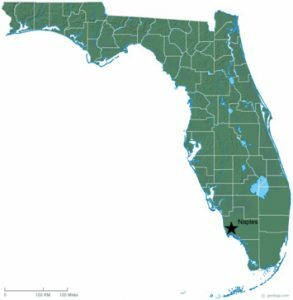 For the southern U.S., B&B has an office located in Naples, FL.